Come out and celebrate 3 great things...The Birth of America (Merica! 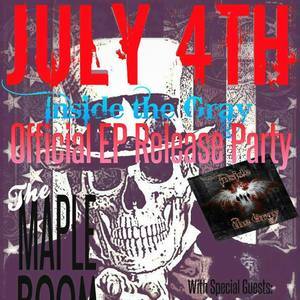 )Joe's 29th Birthdayand Inside the Gray's 1st official EP!The Maple Room in old town Slidell will be lit up on the 4th of July with heavy hitting hard rock from Inside the Gray along with our good friends,Louisiana's own Traded moments! Also a special acoustic performance from Kyle Green, Jonny Laurent, and Trey Mollo.